CMP: What factors made you choose to enter the commercial space? At the time, I was attending mortgage seminars, and I met a very nice gentleman named Keith Walters. I had a commercial deal and said to him, “Can I co-broker this with you?” We got along so well that he said, “Why don’t you join my brokerage?” He taught me the basics of the commercial mortgage space. There are really no courses for commercial mortgages, so that’s where I learned the ropes of the commercial business. CMP: What advice would you give to brokers who are thinking of entering the commercial space? Bring commercial deals and work with a commercial broker who’s willing to show you the basics. But you need to bring commercial deals. I get brokers in my office who say, “Can you teach me?” Teach you what? Bring in a commercial deal, and then we can sit with the client so you can see how I talk, what documents I collect, and then we can put together a commercial proposal. That’s how I learned. I brought my deal to a commercial broker, and for a year almost, I was his student and he was my guru. 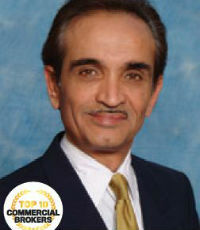 So the only way to get into the commercial business is to bring in commercial deals and work with a commercial broker. But it takes a long time. My experience has been that many residential mortgage specialists don’t have the patience, because it can take eight weeks to do a commercial deal, whereas residential deals you can sometimes do in 24 hours. And also, you can work on a commercial deal, and suddenly it falls apart after four weeks. So you need a lot of patience. CMP: How can commercial brokerages continue to thrive in today’s market? Networking, networking, networking. Let’s say you get a commercial deal. The client can only go to his bank, whereas we deal with all the banks, plus pension funds, life insurance funds, etc. So based on the deal, I should know who to go to who’ll want to take the deal. Everybody picks and chooses what they want to finance. So it’s important to network and keep touch with sources where you can get those commercial deals. I also get some deals from the banks, when they’ve turned it down for some reason. CMP: What’s the most important thing a commercial broker can do to grow his or her business? Again, networking, marketing, possibly advertising in industry-specific magazines. And also knowing your market. Say you’re trying to finance a gas station. Well, only two banks in Canada finance gas stations, so you’ve got to know who the players are. You need to know the account managers specializing in commercial mortgages at the banks. The key is marketing and keeping your face out there. Keep yourself in front of your database because you never know when a deal is coming in.